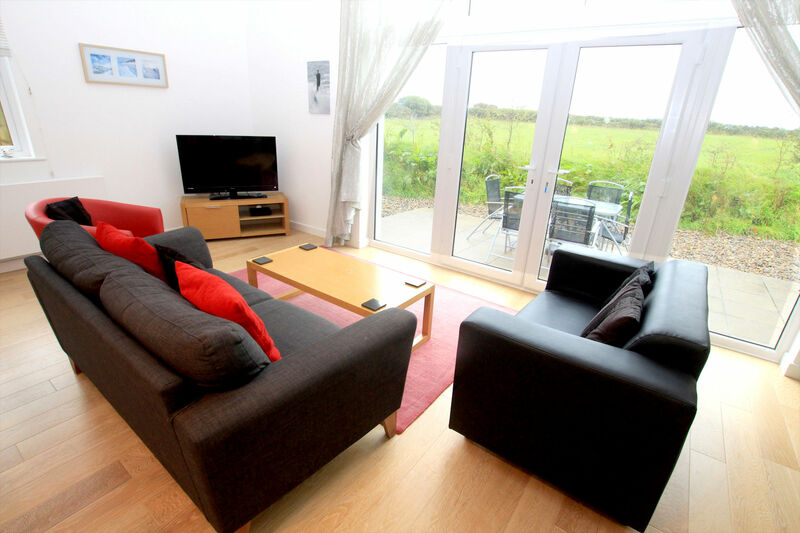 The Breakers is a detached, contemporary house situated just next to the Tarka Trail and only a 5-minute drive to the award winning, Woolacombe beach. 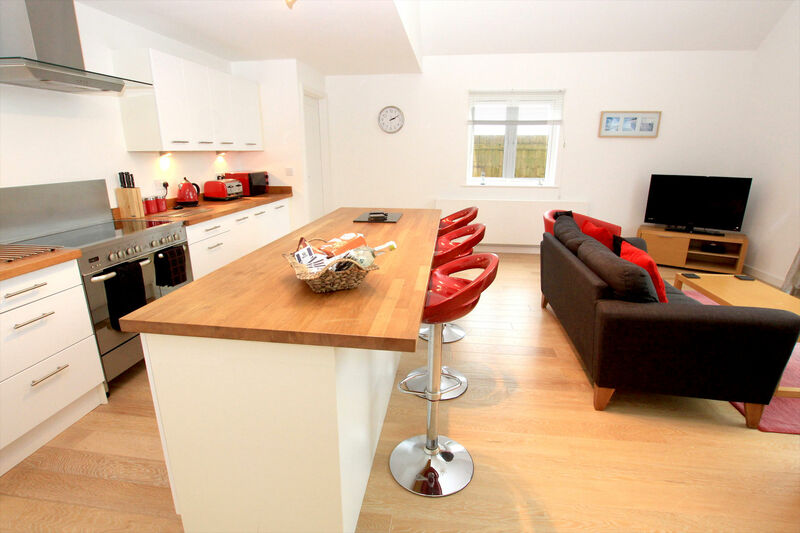 This property is beautifully furnished with pops of vibrant red décor and furnishings. 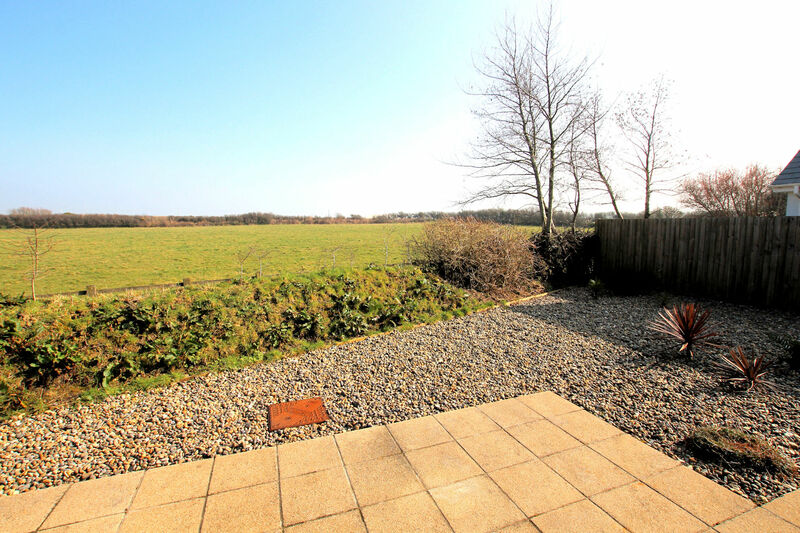 The Breakers benefits from driveway parking, garage and private garden with lovely rural outlook. HOT TUB included in the rental rate! 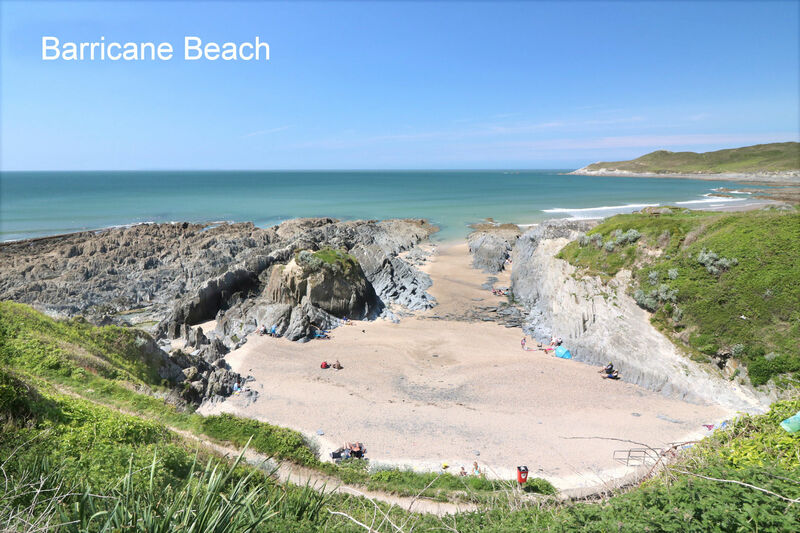 After a busy, exhilarating day on the popular Woolacombe beach, The Breakers provides you with a relaxing and tranquil environment to unwind out of the 'hubble-bubble' of the town. The fantastic vaulted ceiling in the open plan kitchen/living/dining area gives the property a spacious feel - perfect for hosting the whole family. Freeview TV and DVD player are provided for your entertainment. The lounge area has comfortable seating for 6 guests and a large glazed wall with doors leading out to the patio keeps the property bright throughout the year. 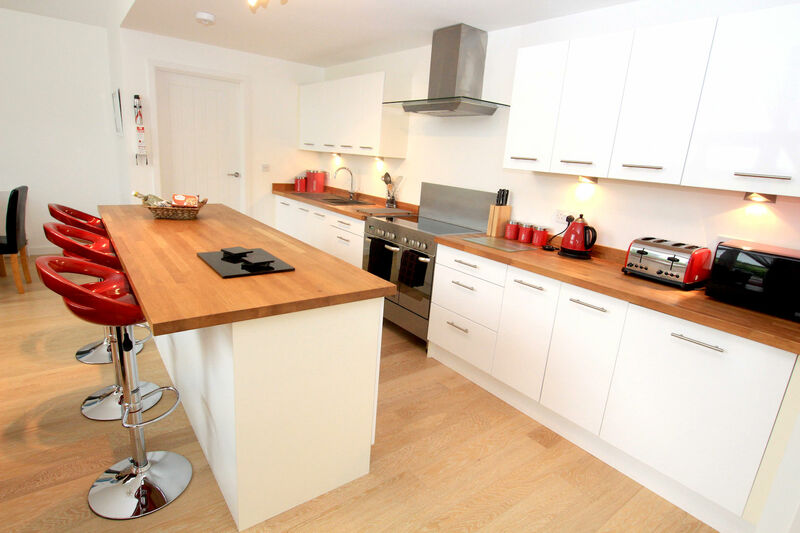 The kitchen is situated in the heart of the home, meaning the chef is never left out of the holiday fun! 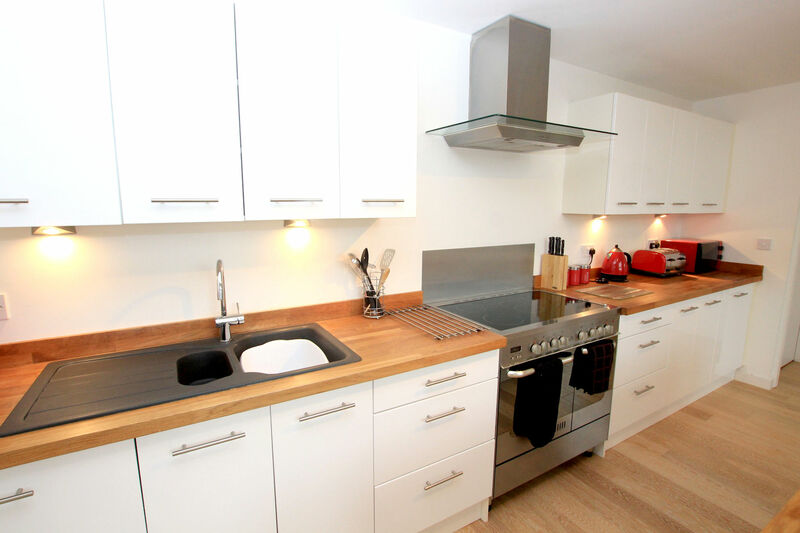 There is plenty of worktop space and integrated appliances to make life as easy as possible. The Breakers benefits from having two en-suite bedrooms on the ground floor. 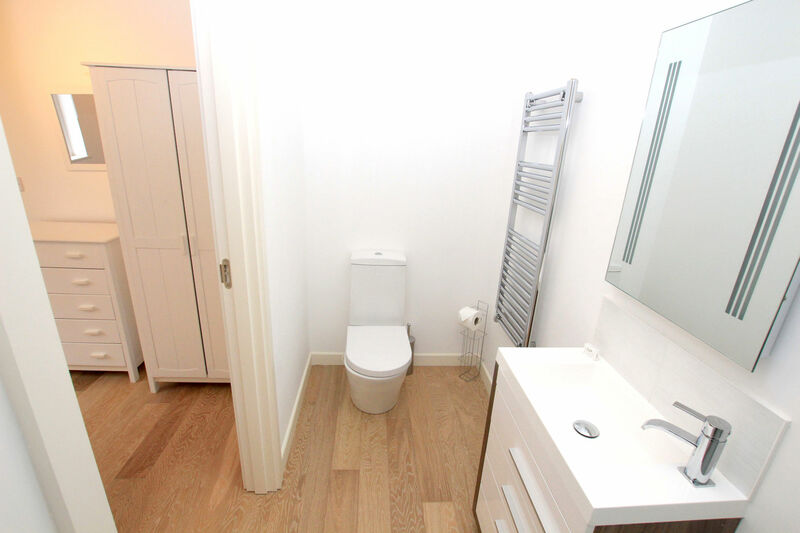 The beautifully presented twin bedroom is accessed from the main entrance hall. A double room is accessed from the living area, at the bottom of the stairs. To the first floor, there is a kingsize bedroom, with a family bathroom that is also accessed of the landing. The property benefits from an internal doorway from the main entrance hall to the garage. This space can be used to store bikes/boards etc. A washer, dryer can be found in the utility area of the garage. The garden is laid with patio and stone chippings with several shrubs and a hedged boundary to the Tarka Trail. A hot tub is available and included in the rental rate! Two dogs are welcome at this property. The driveway has parking for two vehicles. 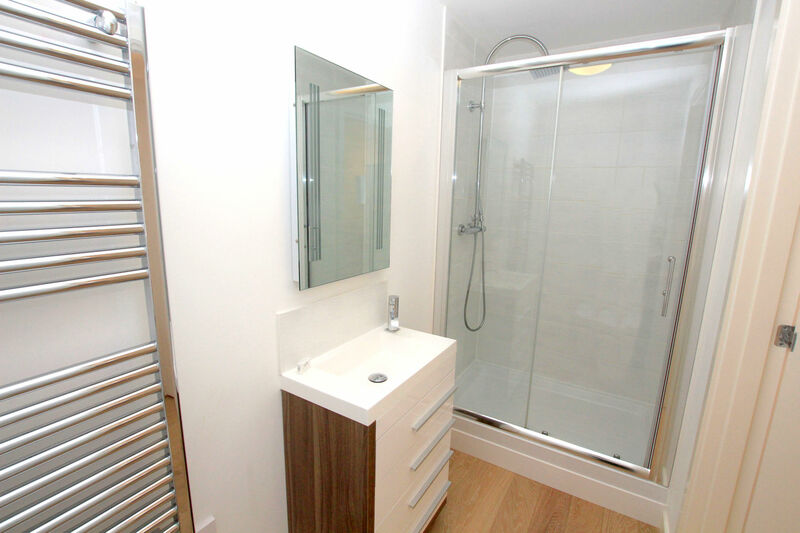 This property also lends itself to those with restricted mobility. If you would like further information about the steps at the property, please contact us. We have had a fantastic week at The Breakers. Woolacombe beach is fab for body boarding. Accommodation great, everything you need is here. Great location for all attractions. The pub down the road does fantastic food and carvery. We will be back!